As part of our Actuality Coverage Project, we cinematography students have to shoot and edit a news coverage short documentary on our own. We were free to select our own subject and were provided with Black & white 16 mm negative film. I was in search of some suitable subject when I was informed by our department that an important surgery was going take place at the Sassoon Hospital, Poona. A team of two British Doctors will be performing a comparatively new surgery - Corneal Transplantation. I was asked to cover the event as part of my actuality coverage project and I was also given two rolls of 16 mm Kodachrome reversal film as well. I had my own doubts whether I will able to stand the sight of blood etc as I have never before stepped inside an Operation theatre in my life! Putting aside my fears I reached the hospital and before being allowed inside the room we were asked to change in to the hospital's sterile garments. 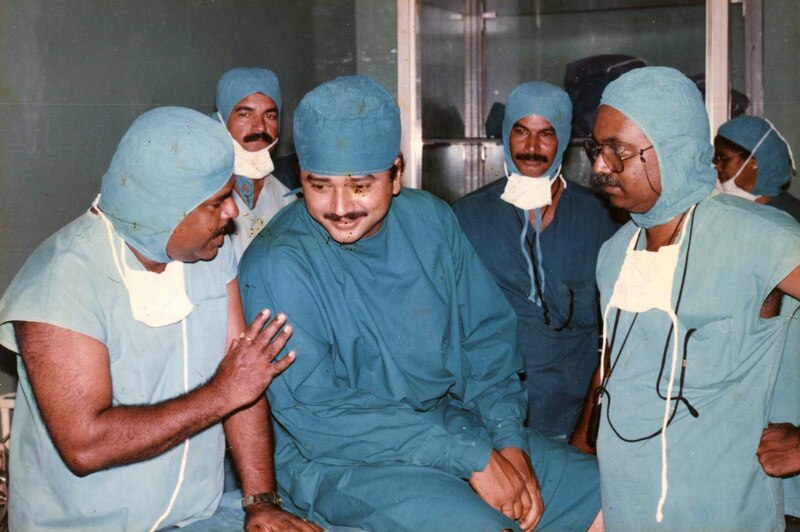 Our instructor Mr.Ramanathan was also with us to sort things out with the hospital people. I talked with the doctor regarding the procedures so that I can shoot only the relevant portions without wasting film on unimportant activities. Fortunately for me there were two operations scheduled to take place that day. In case I miss some shots, I can always shoot them during the second surgery. So first I concentrated on covering the surgery in full in close up as I can take the wider shots later. I mounted my Arri 16 BL camera high on a tripod to get a clear view of the eye being operated in tight close up. I took a light meter reading beforehand with the lights on to determine the exposure as it is very critical to have perfect exposure since I was using Reversal film. Once the operation started I was fully concentrated on getting the necessary images as perfectly as possible. My fears went away as there was not much blood shed, may be two or three drops in total. After the first surgery was over I took several cut-away shots and insert shots, long shots etc by mounting the camera on a shoulder pod and moving around without disturbing the doctors and the other personnel. In those days eye donation was not much in vogue in our country and the donated eyes came from Ceylon where they have many Buddhists who consider it as a noble act. I marveled at the rock steady hands of the surgeons who were doing the operation with the help of small microscopes fitted over their spectacles. 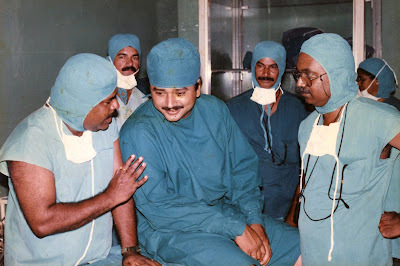 Finally when the rushes were projected many faint hearted students could not stand the sight on screen of a big close up of the eye and the eyelids being pierced by a needle and blood oozing out. Even I had a similar feeling though I had witnessed the real thing in person! 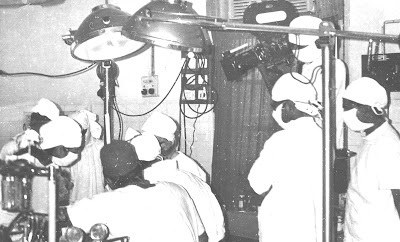 Though in my later career, I had shot many surgery sequences in Operation theatres for feature films they were only enactments and not the real ones. Hence that day at Sassoon Hospital has a unique place in my mind!